First announced at WWDC 2017, the Apple HomePod is slated to arrive in stores beginning Friday, February 9. Pre-orders for the wireless smart speaker start this Friday, January 26. 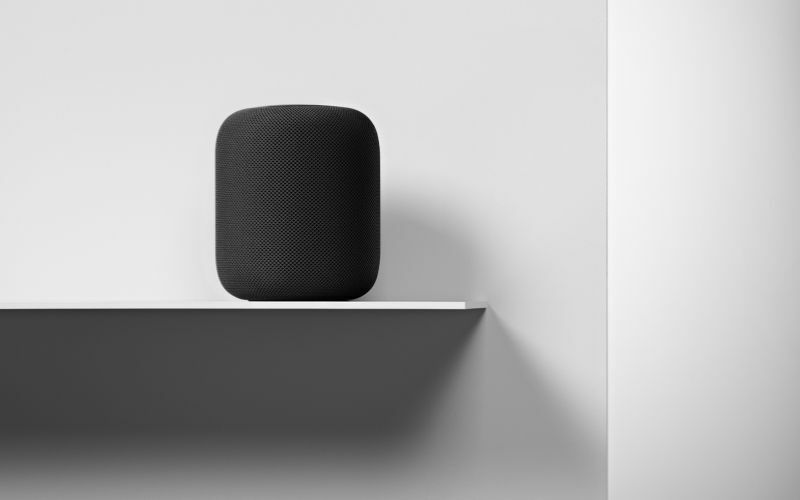 The HomePod, available in white and space gray colours, will retail in the US for a price of $349 (approximately ₹22,200). 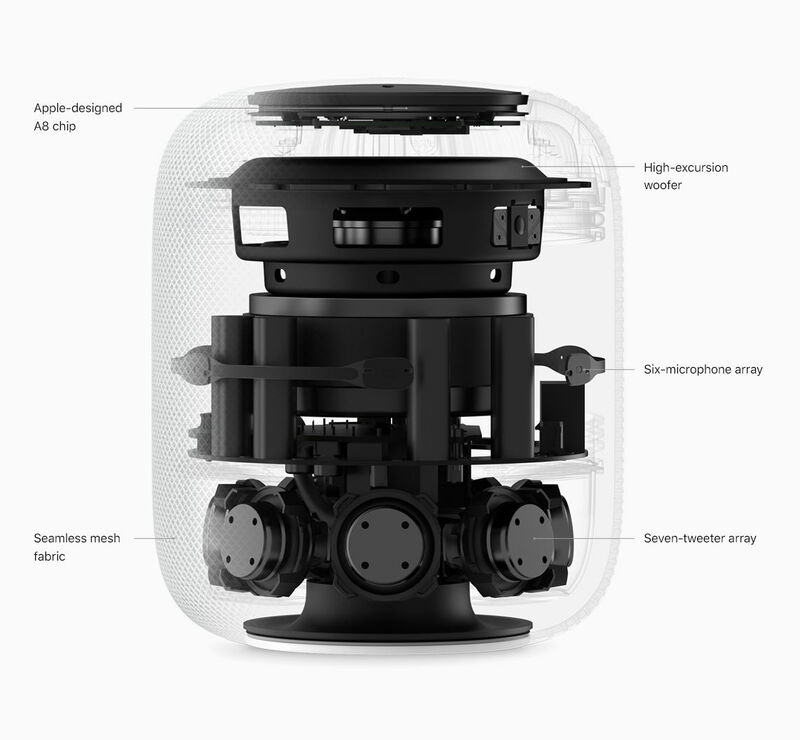 To remind you, the Apple HomePod smart speaker’s sound is powered by a single woofer and an array of seven tweeters. The speaker, shaped like a cylinder, is covered with a seamless mesh fabric, and is a little under 7 inches tall. Also under the hood is an Apple A8 chip, the same processor seen in the iPhone 6 and the iPhone 6 Plus. Apple also plans to release support for multi-room audio with which you could effectively play different songs in different rooms or then play the same tune across your house. Of course, this will only be possible if you have more than one HomePod to play around with. If you do, though, you could also setup HomePods in a stereo pair with the free software update that Apple plans to release later this year. The speaker features an integration with Siri, so you’ll be able to control it with just your voice. 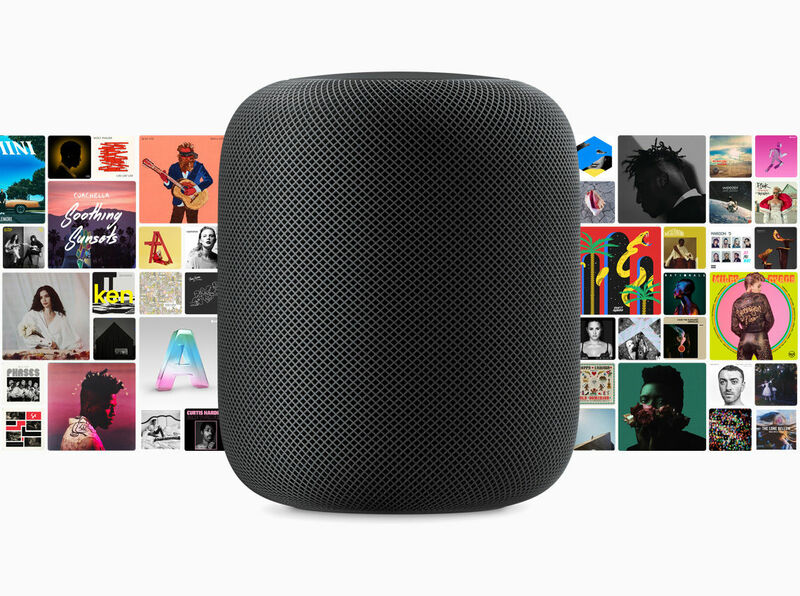 The HomePod works together with an Apple Music subscription, and pairs easily with an iPhone (5s or later). The pairing process, much like pairing AirPods with an iPhone, only requires that you hold the phone next to the HomePod, and the smart speaker is ready to play music in just a few seconds. Once paired with the iPhone, you can ask the HomePod to send messages for you, set timers and reminders, check the news, get weather and traffic updates, and more. The speaker has been designed to work primarily with Apple Music, it isn’t clear how well the speaker will work with other music subscription services like Spotify. The HomePod also features support for HomeKit, and if you have those accessories set up, you can control them as well – turn on the lights, control air conditioning, etc. The HomePod also supports the use of third-party messaging apps like WhatsApp through SiriKit, a software development kit the company plans to make available to 3rd party developers. Just how well the HomePod fares against the Google Home and Amazon’s Alexa powered smart speakers remains to be seen. George is our resident photography expert.